I was there on practice day. Was not able to attend the show on Saturday or Sunday. We must have seen each other then. I had a pair of Canon's with me that day - a 7D and 7D2. Had a EF 100-400mm dust pump on the 7D2. Feed Your Wild Side, Jack Links Screamin' Sasquatch, twin-engine jet powered 1929 Taperwing Waco. I have a series of pictures of the B1 as I followed it up into the clouds. This is one of my favorite pictures of all time. Crops up really nice! 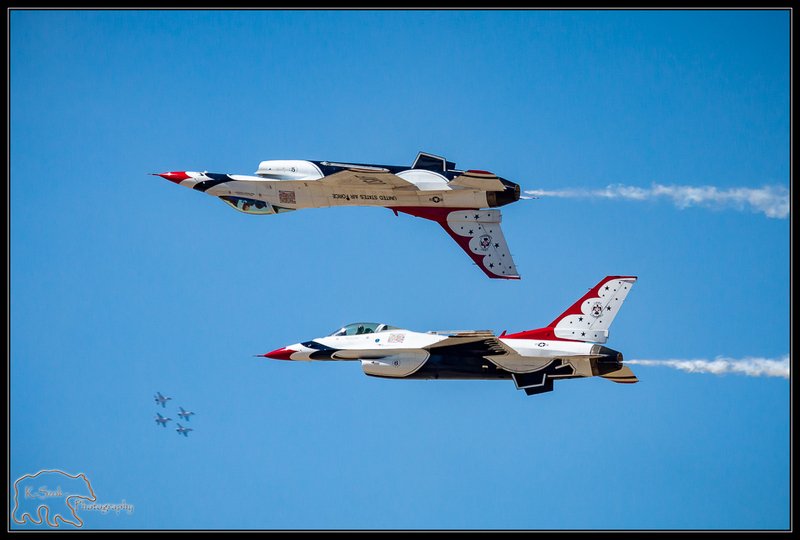 A couple more from Airfest. Photos from the three different airshows.